They say working out is as much a mental strain as it is physical. In that way, it's very similar to The Force from Star Wars. While I'm not too masterful at either skill, perhaps you're some badass geek woman looking to rep your style while you're getting swole. 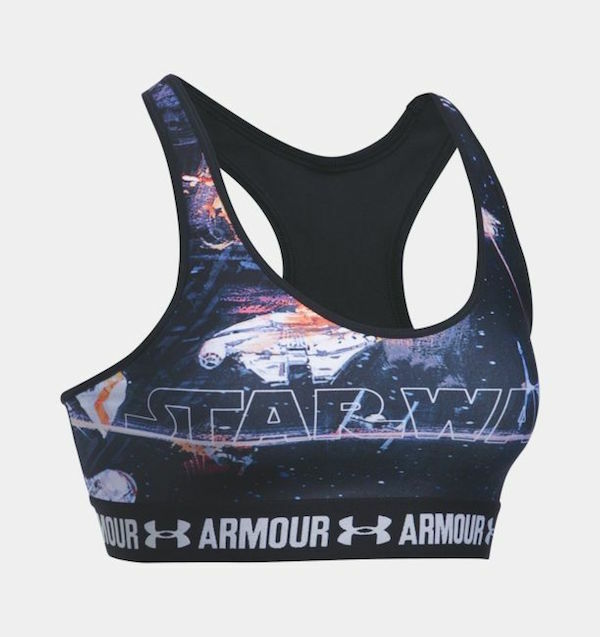 If that sounds like you, I can't recommend this Star Wars collection from Under Armour enough. If I were a girl who liked working out I would totally buy this. Right now I'm the complete opposite so I'm gonna pass, but I thank Fashionably Geek for the heads up all the same.